The Big Red Boat was the original Disney cruise package. It was known for offering value cruises to the Bahamas, which could be combined with a Walt Disney World vacation. But the parent company got into financial trouble and went out of business. Big Red Boat catered to young, moderate-income couples and families. The goal was to offer a fun vacation at affordable costs. There were three-day cruises and four-day cruises from Port Canaveral and Fort Lauderdale (Port Everglades), Florida. The comfortable ship had all the amenities. Disney Cruise Line has taken the place of the Big Red Boat and offers Disney cruise packages. The Disney-owned line offers family cruises with even more style and amenities. 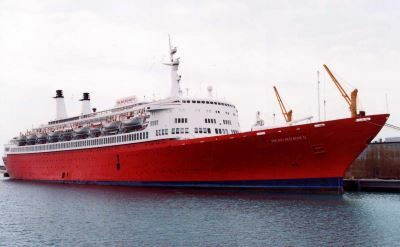 "The Big Red Boat" was a trademark of Premier Cruise Lines and named after the color of the ships. It was founded in 1983. From 1985 to 1993, the red boat was the official cruise line of Walt Disney World. Three and four day Bahamas cruises were marketed to be combined with a trip to the theme park. 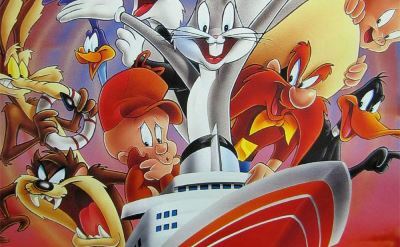 After the deal with Disney ended, the cruise line brought in Looney Tunes characters to entertain kids. The video below is from a Big Red Boat cruise in 1994. It shows scenes from all around the ship.